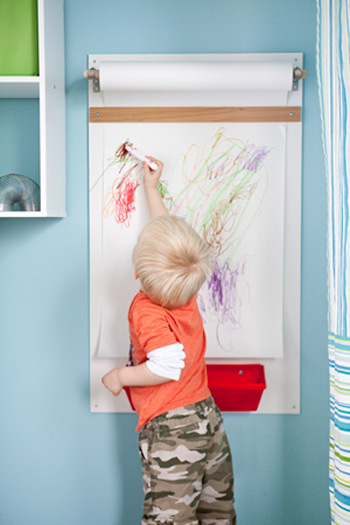 Here's a space saving design from Lowe's for an art station at home. Goodness knows it is difficult to cram art supplies, math & literacy stations, science experiments, and a computer lab along with the dining room table in a small house!!! I suggest making the background a little larger than the paper to prevent "spill-over" effects.